I am a female with blonde and blue hair and blue eyes. 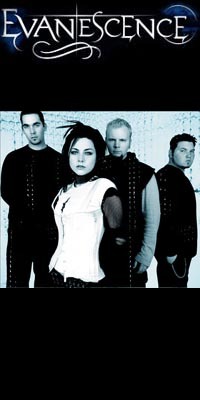 I have loved evaescence ever since i heard it at a sleepover!! i heard it on a radio station and ever since that i've listened to it alot!.. i went to an evanescence concert on the 18th of july and it was amaizing!!.. amy lee.. u rock and u are my idol!!! Rock on!! Listen to evanescence because they are the real thing!!.. theyre not "posers" they helped me through some hard times! !